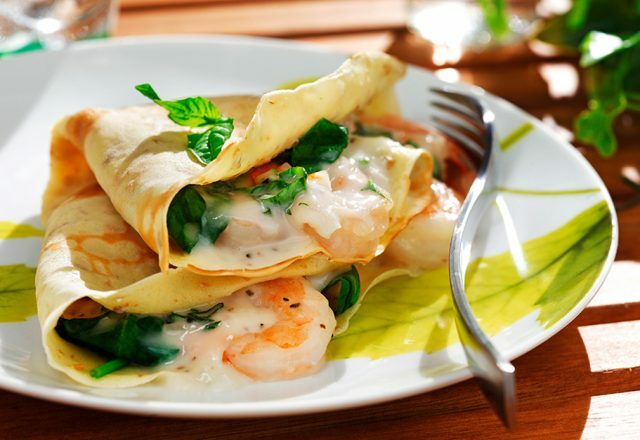 Crepes can be an excellent main course, appetizer or dessert. Use sweet or savory fillings - fruit, strawberry sauce, whipped topping, brown sugar and apple slices, chocolate chips, chocolate mousse, custard, cream cheese, sauteed vegetables, cheddar cheese or feta cheese, chunks of tuna, ham, chicken and a variety of sauces. The list is endless! Recipe courtesy of our partners at CanolaInfo. Using blender or whisk, mix eggs, canola oil and milk until blended. Add flour, sugar and salt continue to blend until mixed well. Brush medium frying pan or crepe pan with canola oil. Heat pan on medium high heat. Quickly pour about 3 Tbsp (45 mL) of batter into pan and tilt in all directions until coated evenly. Cook for about 1 minute and remove from pan. Place wax paper between each crepe to prevent sticking. Serve warm with a variety of toppings, or prepare ahead and refrigerate for up to 2 days. 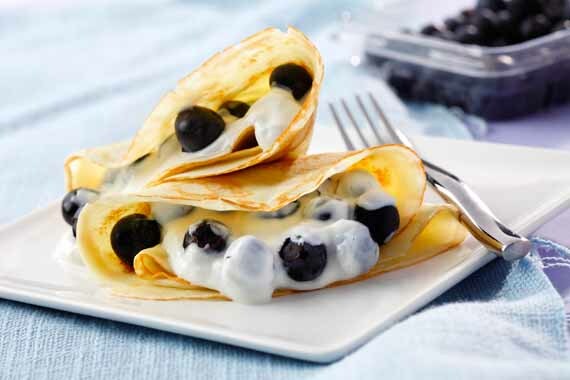 Crepes may also be frozen up to 1 month.